Let Mobile Technology in the museums bring a little enhancement! Museums are already for being the best place for innovation. But now as we are growing and mobbing forward for generations to come, we can see how many museums have already proven to be some of the most existing testing grounds for the technological advancements. Museums are already for being the best place for innovation. But now as we are growing and mobbing forward for generations to come, we can see how many museums have already proven to be some of the most existing testing grounds for the technological advancements. Two of them are- a customized museum app and digital membership card. The museums are taking leaps to embrace the technology that will allow them to reap great benefits. When we put our emphasis a little closer, technology opens a whole new dimension of possibilities. 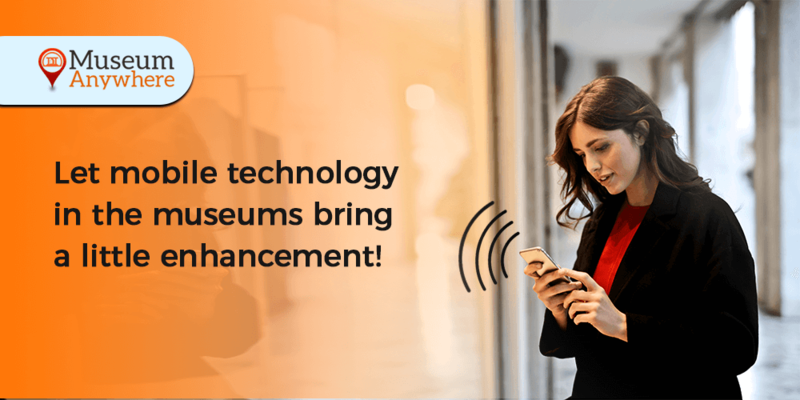 Museums are pushing the envelope with a customized museum app showcasing the technology’s potential through creative implementation such as the iBeacon Technology. They’re using the mobile technology for everything, right from bringing the collections that aren’t possible to display on the walls of the museum to bringing the membership cards on the member’s smartphone. This is not only helping museums to leverage the benefits, but is also providing seamless and magical experience to the visitors/members with limitless possibilities. Have you ever thought about how providing personalized experience to your visitor can help your museum grow? With a mobile app, your visitor can simply step in the museum and can experience the art and sculptures like never before. iBeacon integration within the app can help the visitor get information related to the artifact right on their mobile screen. This means they don’t have to depend on the tour guide for information related to the art, painting or any sculpture. The journey in the museum is now made easy. What about your museum? Think about integrating the technology in your museum. It’s going to be beneficial as well as fun for the visitors. Majority of your members spend their time on the mobile phones, so why not let them access the membership card on the smartphone itself. The Digital Membership Card comes with a lot of perks both for your museum as well as the members. In the sense, your museum staffs no more have to invest their time in sending e-mails reminding the members to renew the card. The solution in itself has the automatic renewal reminder that that notify the member of the mobile phones about the renewal of the membership card 60 days prior to the expiry. There are more features and benefits associated with a customized museum app and a digital membership card. So are up and ready to embrace the technology? If yes then do connect with our expert to get a detailed info. Author adminPosted on November 26, 2018 November 26, 2018 Categories BlogLeave a comment on Let Mobile Technology in the museums bring a little enhancement! 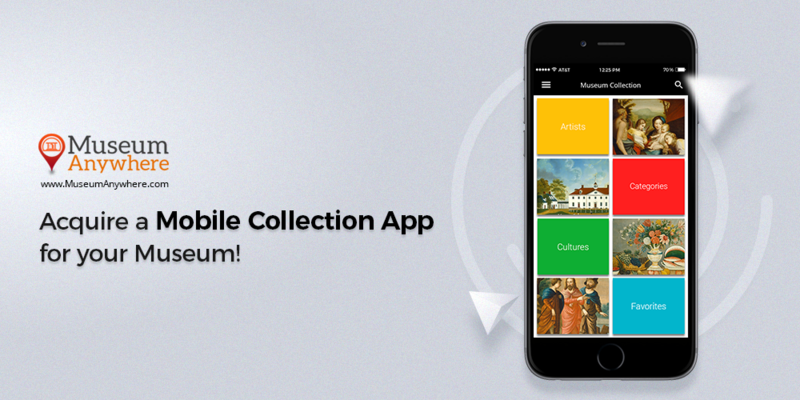 Let your visitors enjoy the museum collection with a mobile app! Did you know how convenient it would be for your visitor to view the information related to the artifact on their mobile phone itself? Museums have already started leveraging the mobile technology, HAVE YOU? Don’t worry if you haven’t. The blog is going to cover it as I’ll be discussing what all a customized museum app can do for you. Today in the fast pace of life where people are busy, they can hardly manage time to visit all the parts of the museum. So, keeping this concern in mind, we at MuseumAnywhere came up with a solution that is beneficial both for the museum as well as the audience. So what all does the customized museum app have? We won’t keep you waiting for long. I have mentioned below the features that will help you understand how you can implement the practice to get more audience that can even lead to the brand promotion of your museum. Let’s read ahead…. Even though it’s a must for your museum to have a website, but getting a mobile app developed would be more convenient than a mobile responsive website. With an app, you can increase visitor’s counts for the Museums, Events and Exhibitions. Easily enrich visitor experience with videos, audio, slideshows relevant to artifacts. The app will have the Social Login that will allow the visitors to share any information or picture of the art, painting or sculpture. PR activity is now made stronger to help build the connection with ‘in-app push notification’ feature. An app does help your museum staffs to reduce the cost of printing Membership Cards, Maps and brochures. The app will make it simple and easy for your visitors belonging to different languages. In the sense, the app will be multi-lingual which would allow the visitor to use it in their desired language. Last but not the least, the app developed by our experts has the CMS portal included, which allows you to quickly add, update, activate or deactivate the content whenever you wish to. So these were the basic features of a customized museum app developed at MuseumAnywhere. There are many other exciting features which would be guided to you by our expert. Feel free to connect with us for any further queries. Author adminPosted on October 3, 2018 November 26, 2018 Categories BlogLeave a comment on Let your visitors enjoy the museum collection with a mobile app! We are familiar with the standard plastic membership card. It has probably got the membership number, the name and few other details of the member. But who really wants one more card to carry in the wallet. Why not give ease of access to your members? With our introduction of eMembership Card solution, you can now let your members enjoy the benefits. eMembership card unlocks a new way of museums engagement with the members. Cool features like push updates about upcoming events/exhibitions, renewal reminders and more are added to the digital membership card. 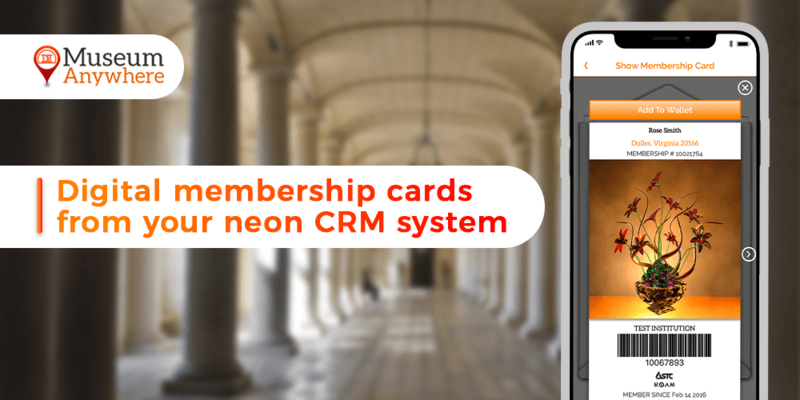 MuseumAnywhere is a Blackbaud & Versai Technology Partner and has come up with digital membership cards for Neon, Altru, Raiser’s Edge, Raiser’s Edge NXT, Fundly or any other membership system. This blog will show the perks of having a digital membership card for your museum. Today, the members are glued to their smartphones, so having eMembership card solution for them that resides on their phone would be a perfect solution. Our eMembership card is smart which means it knows how to keep your members updated about the membership renewal. The eMembership Card can be added to Apple Wallet which means the card pops up on member device, as soon as member comes in the vicinity of Museum. Our solution doesn’t require any data entry, scanning or work from the museum. The eMembership card will fetch all the information from your membership system. Quick e-delivery of new membership card once the membership card has lapsed. MuseumAnywhere is very grateful to all our clients that have agreed to participate in this eMembership card program for their members. 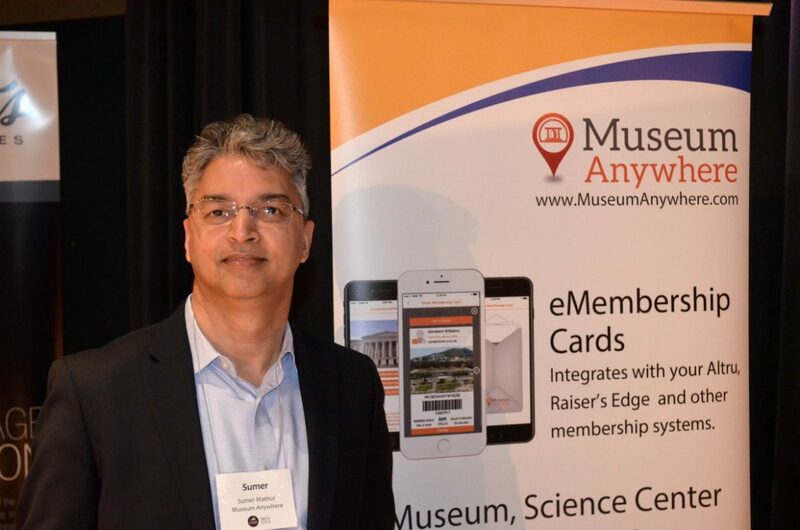 If you too want your museum or gallery to have the smart solution (Digital Membership cards for Fundly or any other membership system) then reach us via email sales@MuseumAnywhere.com or call 703.652.6630. 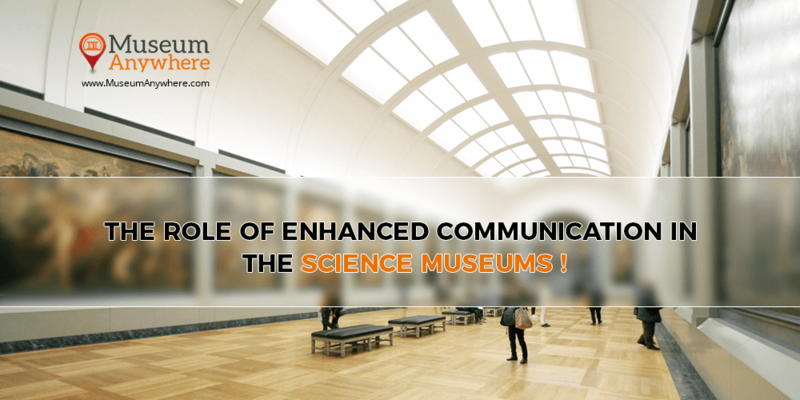 The Role of Enhanced Communication in the Science Museums! We are living in a society which has reached a point where everyone desires to get customized services and products. Right from coffee to computers and from shopping to museum experiences, everything is becoming digitalized to meet the growing needs and expectations of the audience. What we are talking here is the ease of access and personalized experience that is being given to the museum audience through a science center app. The only question that must be revolving around your mind is how best you can leverage the high accessibility of this customized app to deepen the visitor experience? After investigating a lot and questioning many museums, our team decided to come up with a solution which would not only be handy to the visitors but can also prove to be the best mode of communication between the museum and its audience. Although museums have been a place for exploring, education, knowing the history and a lot more, over the years museums have been working well in serving the community, but one thing I would like to highlight is- were the museums able to build a strong connection with the audience? No, not exactly! Today, science centers are walking along with the technology and by incorporating such solutions they are able to benefit themselves as well their audience. If you haven’t considered a science center or discovery center app yet, then here you go. The solution will peek the interest of your visitors, quiz them with age-appropriate questions, share detailed information/video, narratives and offer “Try-this” DIY projects. Let’s see what else you can get in a robust, feature-rich Science Center App. Well, keeping the track of the visitor wasn’t possible earlier for the museums. 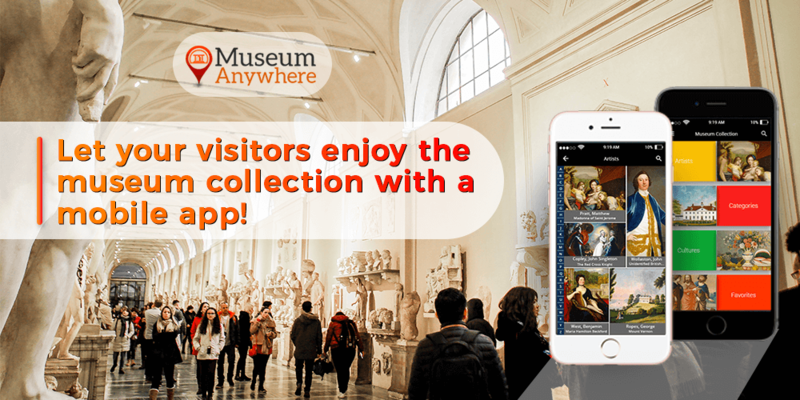 By getting the app developed, you can gather a proper analytics on the number of visitors and the area mostly covered by them in the museum. Also, sort interactive that is closest, to the top. The app can show detailed information related to the artifacts/interactives that cannot be physically displayed on the walls or board. Depending on the visitor, the app can show up age-appropriate difficulty level Trivia with scratch-off answers. A visual impression lasts longer on the minds of the people; the science center app will show narratives and videos related to interactive. This will keep the visitors more engaged. The visitor can remain updated about the upcoming Events and exhibition’s information in the app along with photos. The app is multilingual; which means you can easily connect in the language of the visitor by letting them use the app according to their desired language. Push notifications help you build a better connection with your visitors. Share information about events & exhibitions and have visitors coming back. Social Media integration can let the user take pictures and share on Facebook and Twitter from the app. I hope this was helpful! If you wish to get a science center app developed or have any other queries, then talk to our expert. Write to us at sales@MuseumAnywhere.com or call 703.652.6630. Author adminPosted on August 28, 2018 August 28, 2018 Categories BlogLeave a comment on The Role of Enhanced Communication in the Science Museums! With the increasing number of smartphones and tablet usage, a majority of people are using their mobile phones to carry out the most of their day-to-day activities. This is one of the reasons why most of the museums have turned towards the mobile technology and are walking along with it. With the increasing number of smartphones and tablet usage, a majority of people are using their mobile phones to carry out the most of their day-to-day activities. This is one of the reasons why most of the museums have turned towards the mobile technology and are walking along with it. One suchthing which I am going to be discussing is the iBeacon Technology in the museum. 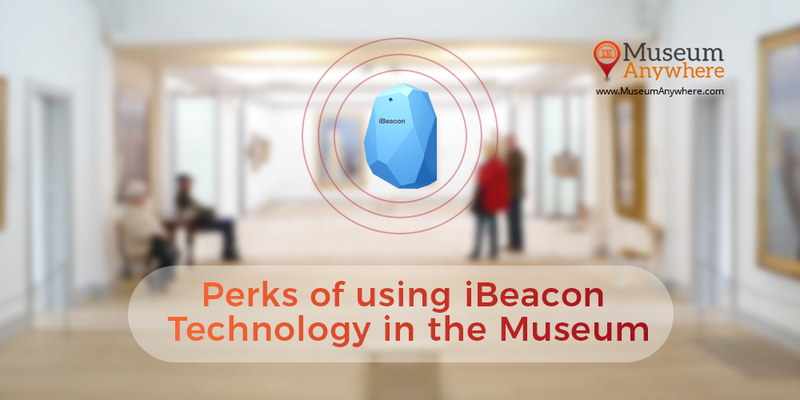 So let’s watch out the perks that museums are enjoying by getting iBeacon technology integrated into the museums. The technology is a practical, scalable and cost-effective marketing solution which meets the needs of museums and many other cultural organizations. It reduces the stress and spares the curators from different complex audience management and updating of audio guides. Your museum visitors can now have the access to exhibits, as well as to timely information about upcoming events and exhibitions. Who doesn’t like to get a personized experience? If I talk about myself I love exploring things and so is the case with your audience. With iBeacon you can let your visitors get a personalized and rich experience in the museum. Now they no more have to depend on the tour guides as iBeacon will help them know the information related to the artifact. So there is no more searching through an audio tour to find the right section, content will automatically deliver on the visitor’s mobile phone as soon as they come near to the art or painting. They can easily learn and watch content without having to search through the brochures. Not all the museums can serve the community by putting the items inside the museum. Some objects are so big or constructed in such a way that they have to be placed outdoor. But don’t worry as our solution works both indoor and outdoor for exhibits or that are in the open areas. If you have multiple buildings, then it’s great to implement beacon module so visitors get geo-location relevant content. Our iBeacon technology for museums works both for Android and iOS. Our team has developed expertise in iBeacon, so if you want to get iBeacon solution integrated then talk to our expert who would help you in a more effective way. We at MuseumAnywhere help the museums to reach a large number of audiences in order to make the museum accessible to them by providing them a bag full of benefits. Being the best museum app company, we understand how our clients come up with certain queries. So in this blog, we are going to provide answers to some of the questions most frequently asked by our clients that would help to solve yours too. So far we have developed many applications meeting the deadlines. The time taking to build the app differ, some depending on features of the your app and how much content you’re putting in it, but we’ve got some guidelines for getting your app up and deliver it on-time. Apps created by us works both online and offline. It doesn’t need any cellular internet or Wi-Fi in the museum. 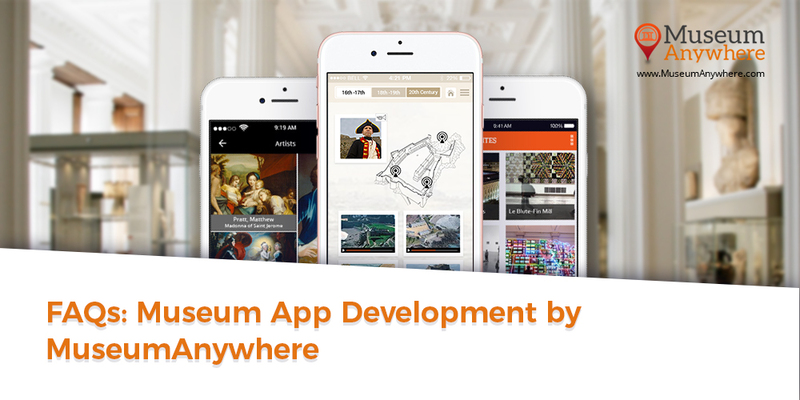 With amazing features get the leverage of an app developed for your museum that works offline. The iBeacon integration works and allows Gallery items to re-sort so it can help the visitor to enjoy the tour independently. Is the target audience going to download the app? People are spending more time on their mobile phones and the dependency is increasing day-by-day. So why museums should let go the opportunity to grab the attention of the target audience. Apps build at MuseumAnywhere are for Android and iOS. The gamification feature in the app like trivia with scratch-off answers, icons to turn any artifact into puzzle etc. which will make the learning and visit museums a fun. What will iBeacons do for my Museum? Our App has the beacon integration in the mobile app and we do provide physical beacons to be placed in the different sections of the museum. This is really helpful for the museums as it immediately recognizes which room your visitors are in and starts displaying information about the respective pieces in that room. Do I have to depend on the developers to make the content changes? Our app is architected in such a way that it becomes easier for you to make changes CMS portal included in the app which means your museums don’t have to wait for the developer. They will have the backend access to quickly add, update, activate, and deactivate the content. Digital Membership Card over plastic cards. Which is better? We all are familiar with how a plastic membership card looks like; it does have the membership number, the name, and few other details of the member. I won’t deny, but would rather say that a plastic membership card is the best way to let your members flaunt about their membership or in other words we can even say, it is also beneficial in best representation of your organization’s brand. But to look at the other side of a plastic membership card, we came across few museums and got to know the challenges they had to face on a daily basis. What are these challenges??? 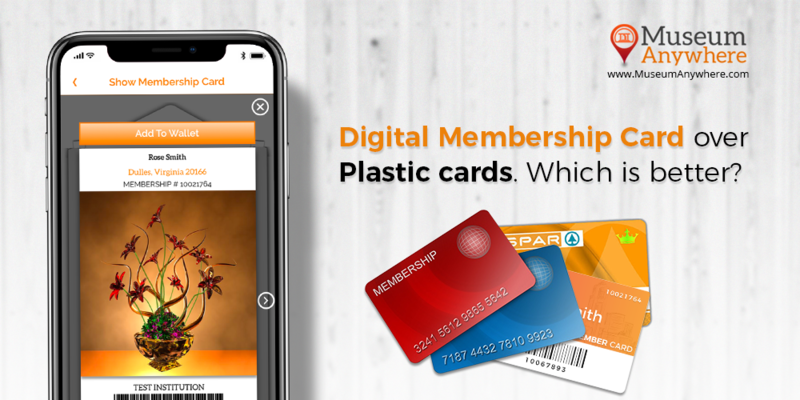 Hold on… as I’ll be discussing it further to make it clear why a digital membership card over plastic card can be beneficial for you and your members. So, are you still printing and mailing the membership cards? Searching membership for those who forget to bring the card? Dealing out to send replacement cards? Sending multiple reminders for renewal? If you have been dealing with the above-mentioned challenges, then this blog will get you covered. Go for Digital Membership Card that’s SMART! With a digital membership card, your museum staffs no more have to spend time on sending the renewal reminder e-mails or calls. The automatic renewal reminder will itself start notifying the members 60 days (frequency can even be customized) prior to the expiry of the membership card. Today, having the smartphones for 24×7 in the hand is not a matter to doubt about. When getting a digital membership card developed, there is no chance for the member to forget their card as they will have it in the palm. In the sense, museums don’t have search for the membership on their system. Every now and then, museums have to deal with replaced cards when gets lost which takes both time and money. With a digital card, the risk to lose the card gets eliminated. In case if the card gets deleted or the app, the member can get it back with few clicks. The plastic card remains constant with the color and font. But getting a digital card developed, you will have the leverage to change the look and feel of the app. Isn’t it cool? The multilingual feature will let your members access the card in their own language, no matter where they belong to. So these were few of the points that I have mentioned above in regard to a DIGITAL MEMBERSHIP CARD. If you want to get a break from the challenges that you and your museum staff have been facing, then let’s talk and solve it together by making the right use of the technology. Author adminPosted on July 23, 2018 Categories BlogLeave a comment on Digital Membership Card over plastic cards. Which is better? 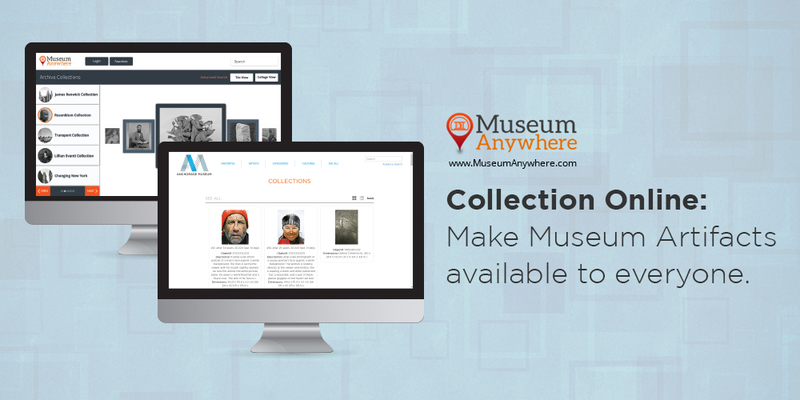 Acquire a Mobile Collection App for your Museum! Imagine your audience stepping in the museum and experience the art and painting right in the palm of their hand. The location-based content being displayed on their mobile screen. Imagine your audience stepping in the museum and experience the art and painting right in the palm of their hand. The location-based content being displayed on their mobile screen. Well, technology has rapidly made nearly everything possible. The access to not only the images and texts about collections but also to audio and video guides to let the audience get a whole new experience in the museum. This is all possible with a Mobile Collection App for your Museum. The solution is an approach by MuseumAnywhere team, for the museums who want to extend their maximum reach to the audience and who aren’t just visiting the museum but also to them who aren’t capable of visiting due to certain issues. Now showcase your museum collection with a smartphone! Our solution is not just limited to one platform but works on iPhones, Android Phones, iPads and Tablets. So which one are you looking for??? Confused? Don’t worry; our experts will guide you. The Mobile Collection App integrates with your TMS Collection Systems. If we do not already have the integration to another Collection system that you use, we will build that for you. So this was about how the solution can help you. Let’s read further to explore what the amazing features of the coaction app. So, readers, this is all about a Mobile Collection App. If you wish to get it developed for your museum, share your requirements with us. Author adminPosted on July 12, 2018 Categories BlogLeave a comment on Acquire a Mobile Collection App for your Museum! Over the years, museums have been serving the community with a variety of facts and arts based on nature, history, science and more. But there have been times when people who wanted to visit the museums, couldn’t make it due to certain issues. Over the years, museums have been serving the community with a variety of facts and arts based on nature, history, science and more. But there have been times when people who wanted to visit the museums, couldn’t make it due to certain issues. There wasn’t any option left for the museums in which they could make their artifacts accessible to those audiences. But, technology has made the tasks easier for every industry and museum is amongst them. Unlike the old gone days, today museums can present the art and paintings to the audience who are sitting far away and across the world. I am talking about, Collection Online with Analytics. A solution by MuseumAnywhere team wherein you can bring up those artifacts which couldn’tbe displayed on the walls of the museums. This way you can keep your audience engaged as they can enjoy reading about the artifacts from any part of the word and from anywhere. The collection online is designed in such a way that it integrates with your TMS collection System and can be quickly implemented on top of any other collection management system. Collection Online allows a large number of artifacts to be available on your website. In this way, the user who would visit your website can choose categories, themes, artists or other criteria to see what they are interested in. Isn’t this amazing and convenient?? Earlier it wasn’t possible to keep a track on your audience and their preferences. But with the solution, you can get detailed analytics on the users. In the sense, how many users visited, who marked favorite and what has been shared on the Social Media. The solution of bringing museum collection to the web is especially targeted for public, Educators, Students and Researchers. With the CMS portal included, you can have the control over what will be made available on the web. The feature of Social login integration (Facebook/Twitter) is provided. The user can even search without login. Now this a smart approach. PDF Reports capability is available that lets the user download it and use it for further project or research purpose. With this, I would end up. But there are a lot more points to earn about Collection Online with Analytics. If you wish to get it done for your museum, talk to our expert.